If you have ever slept on a cruise ship, you know that the gentle rocking of the boat can significantly improve how you sleep. This is the realization that Mark Russell, founder of Rocking Bed made after a cruise. He went looking for a product that could replicate that sensation on dry land and found only a hammock. Of course, a hammock isn't quite the same, as it is mostly for outside use, and encompasses a person in a way that can be strange. So, he set about to create a device that could help him sleep. The Rocking Bed is a product whose name says a lot about its use. It attaches to the existing frame of your standard bed and provides a gentle swaying motion. While it might sound strange initially, think about this: almost all humans have been rocked to sleep at some point in their life. It is such an established idea that many rocking devices are made for babies, and the idea of babies sleeping better in a car is well established. Somehow, the idea has never been brought to adult sleeping, despite the clear connection between rocking and the feeling of safety and security, which can be relaxing, bringing on restful sleep. One of the interesting things about rocking to sleep is that, once you are asleep, the rocking is no longer required. That is why the Rocking Bed has a timer built-in and turns the monitor off after 30 minutes. Obviously, if you're not already asleep at that time, you can start the timer up again. The timer also helps to prevent the motor from wearing out quicker, as motors all have a lifespan. If the motor does wear out on the bed, however, you can order a replacement, rather than replacing the entire product. 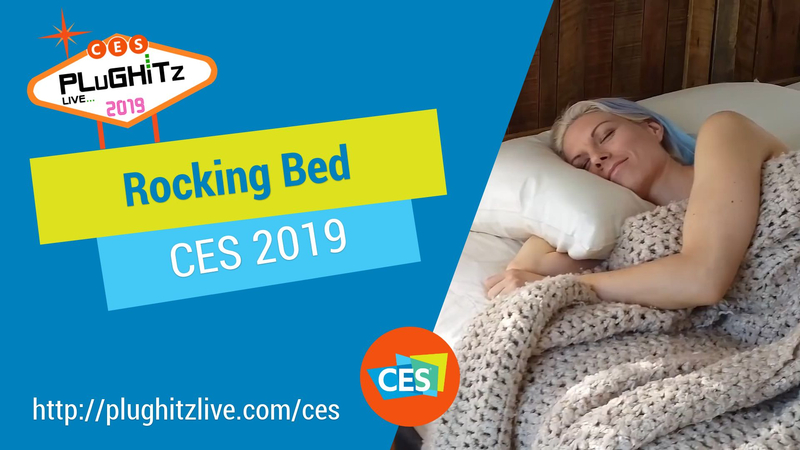 The Rocking Bed can be pre-ordered now, with a down payment of $245.